Franny Norton is facing around three weeks on the sidelines after breaking a rib and damaging his knee ligaments in a fall at Southwell on Thursday. 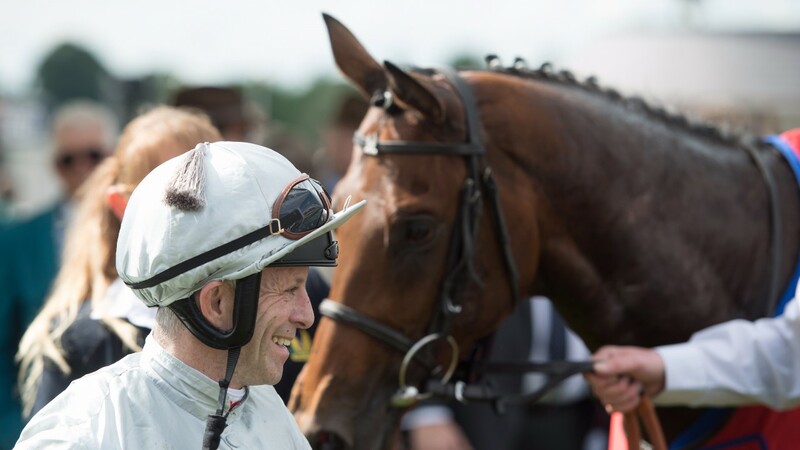 Norton was taken to the Queen's Medical Centre at Nottingham with a suspected shoulder injury after being displaced from the Mark Johnston-trained Tarnhelm. The juvenile stumbled and fired Norton into the Fibresand soon after the start of a six-furlong nursery leaving the jockey clutching his shoulder, but subsequent x-rays revealed other related injuries. Ian Wardle, Norton's agent, said: "Unfortunately, Franny will be out for at least two and a half to three weeks after damaging ligaments in his knee and breaking a rib. He thought he had done his shoulder to begin with but that was just swollen. He went back to hospital the next day when his knee swelled up." Before his fall, Norton was just one shy of his previous best annual tally of 83 winners but could be back in December. Wardle added: "It was a strange fall at the start of the race but Franny got quite shook up and also got a kick up the backside." Norton's biggest winner of the year was on the ill-fated Permian in the Group 2 Dante Stakes at York in May.